After weeks of being on tenterhooks about the new president of the Congregation of Bishops the Pope has announced that Cardinal Marc Ouellet, the Archbishop of Quebec will take up the post. Cardinal George Pell was one of the people whose name was originally being bandied about but a smear campaign and poor health made him turn down the appointment, according to Vatican watchers. In this Curial turn-around–which places a Canadian at the top of a curial department dominated by Italians–other important posts have also been filled and people shifted across departments. 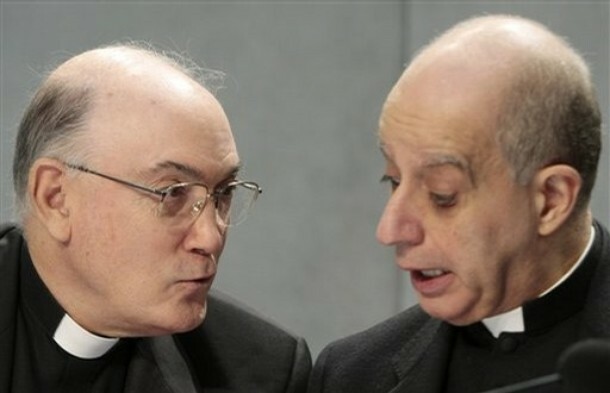 Archbishop Rino Fisichella, a controversial figure who headed the Pontifical Council for Life as well as being the rector of the Lateran University has been moved to the Pope’s new department the Pontifical Council for Promoting New Evangelisation, while Don Enrico dal Covolo, S.D.B takes over as Rector at the Lateran and Mgr Ignacio Carrasco de Paula, the Chancellor of the Pontifical Academy for Life, is taking over as head. Mgr Carrasco de Paula is a medical doctor as well as a prominent moral theologian and bioethicist. He is a member of the Opus Dei, which reminds me of this John Allen Jr article from 2001 about the Opus Dei in the Vatican. He held a personal friendship with Jérôme Lejeune, the French pro-life pedeatrician and first president of the Pontifical Academy for Life who discovered the link between chromosome abnormalities and Downs Syndrome. 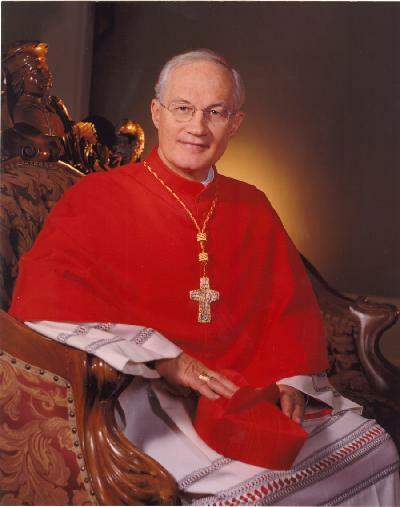 The Spaniard is 73-years-old and was ordained to the priesthood in 1966. Here are a couple of interviews he did (unfortunately both in Spanish). The first is on the anniversary of Humanae Vitae in which he speaks about contraception, children and marriage and defends the 1968 document by Pope Paul VI. In the second, he speaks of the most important themes in bioethics, which he identified as the moments at the origin of human life and at its end. In the third interview, in English, he speaks about the Human Genome Project and the new frontiers of genetics. He is also the director of the Institute of Bioethics in the Faculty of Medicine and Surgery “Agostino Gemelli” at the Catholic University of the Sacred Heart, Rome and an advisor to the World Medical Association. Fr dal Covolo is an Italian Salesian (Like Cardinal Tarcisio Bertone, Benedict XVI’s Secretary of State) who is turning 60 in October and made his first vows in the order in 1973 He was ordained at the age of 31 in 1979. A professor of ancient Christian literature and an expert on the Church Fathers, Fr dal Covolo led the Papal retreat this year. He joined Pope Benedict’s former department as a consultor to Congregation for the Doctrine of Faith in 2002 as well as being a consultor to the Congregation for the Clergy. He is a member of the Pontifical Council for Historical Sciences and Postulator General for the causes of saints of the Salesian Family and is also on the Commission for Sacred Archeology. Here is an interview he did with Zenit about vocations. Meanwhile the Swiss newspapers have said that the Diocese of Basel has confirmed that Bishop Kurt Koch is going to Pontifical Council for Promoting Christian Unity.